ZyberSys Technologies is a professional SEO service provider in Queens, New York. We are amongst the best SEO Company in New York offering Digital and Internet Marketing services at affordable price. We are Recognized Leaders in Web Designing, Web Development and Digital Marketing. We Focus On Delivering User-Friendly, Performance-Driven Websites and Building Long-Term Collaborative Relationships. 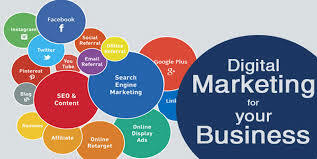 Digital marketing is the term for marketing products or services using digital technologies. It is also the promotion of products or brands through one or more form of electronic media. Digital marketing activities are SEO (search engine optimization), social media marketing, content marketing, e-commerce marketing. It differs from traditional marketing and also advantages than traditional marketing. Digital marketing is the fastest way to improve your business and reach new customers. It is also an effective way to communicate to consumers regarding the various products or services. Reach right persons at the right time. Target and promote your brand and services to geographic location. Less expensive than traditional marketing. Our company Zybersys Technologies, is a digital marketing agency. It provides services such as Web development, Web design, logo design, SEO, Graphics design for clients. Our teams are creative professionals, most talented designers, developers and digital marketing experts. 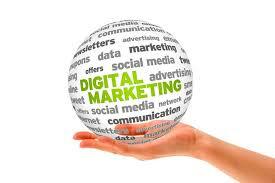 Our aim is to provide top quality services in the areas of digital marketing.